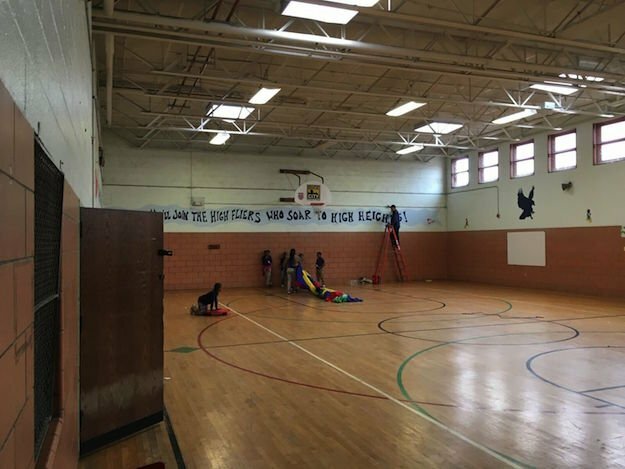 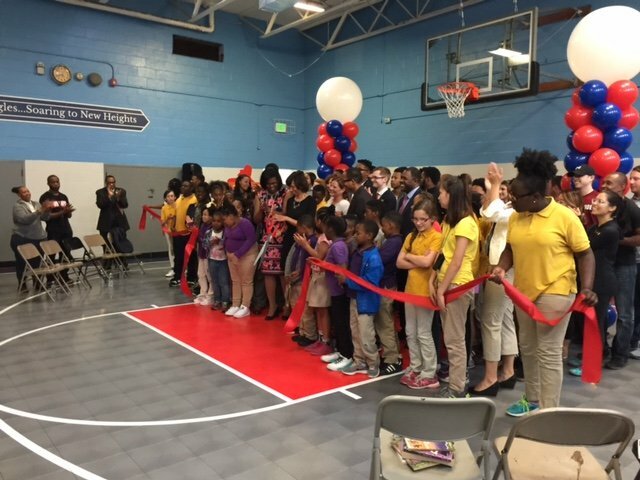 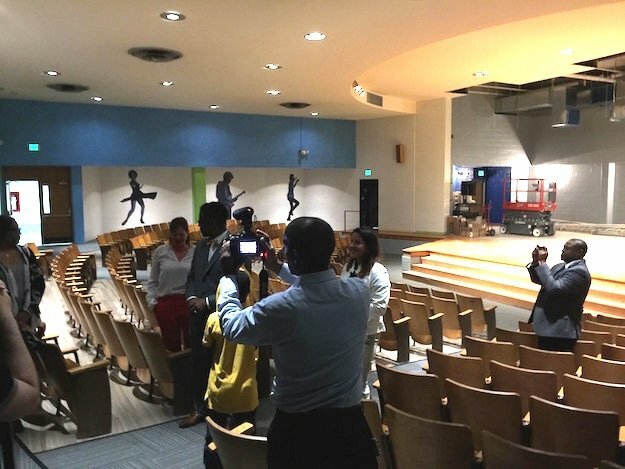 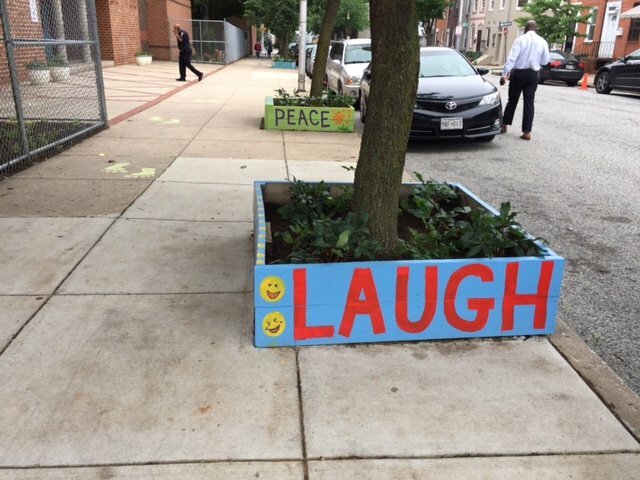 In partnership with Baltimore City Public Schools, The Heart of America Foundation and Under Armour unveiled transformed school spaces today at James McHenry Elementary Middle School in Hollins Market. 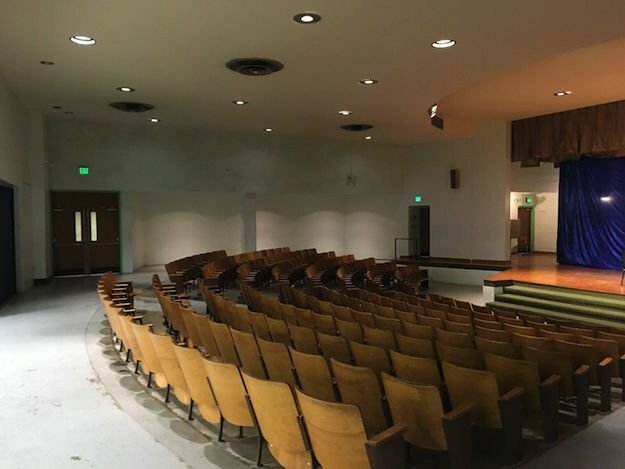 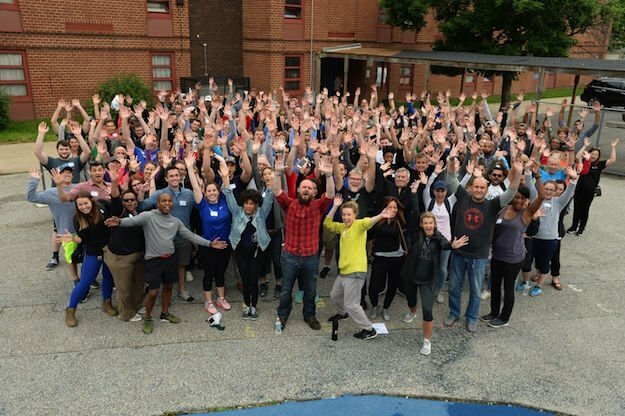 Over the past week, more than 1,500 volunteers from Under Armour helped revamp the school’s gymnasium, cafeteria, auditorium, hallways, and courtyard. 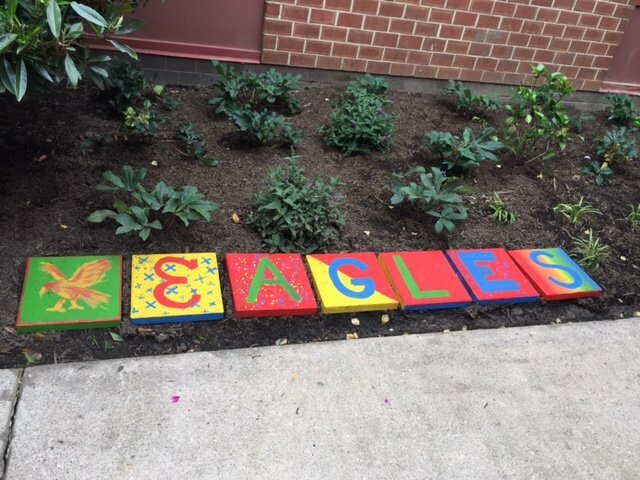 During this time, volunteers also prepared new books for each student to take home and keep, and updated the school’s food pantry and teachers’ lounge. 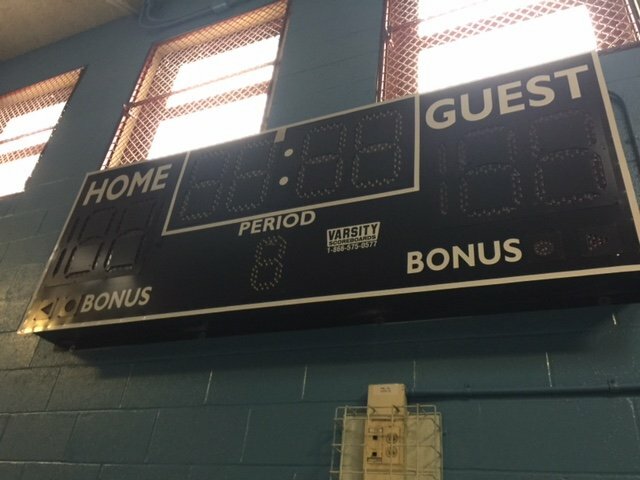 The gymnasium now features new glass basketball hoops, a new floor, a new scoreboard, painted walls, and school logos. 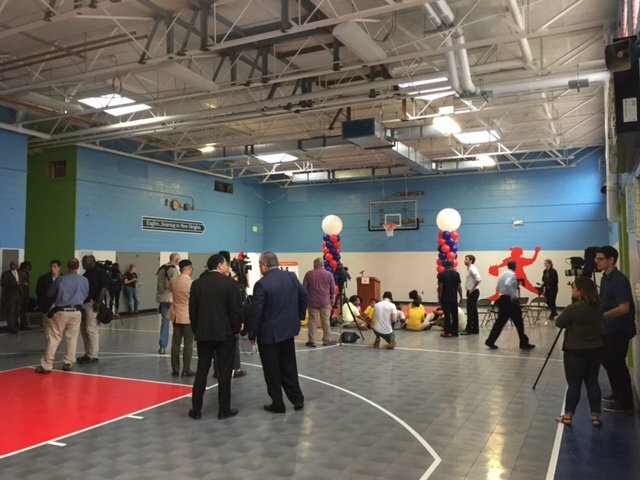 The gymnasium is also used as a community recreation center. 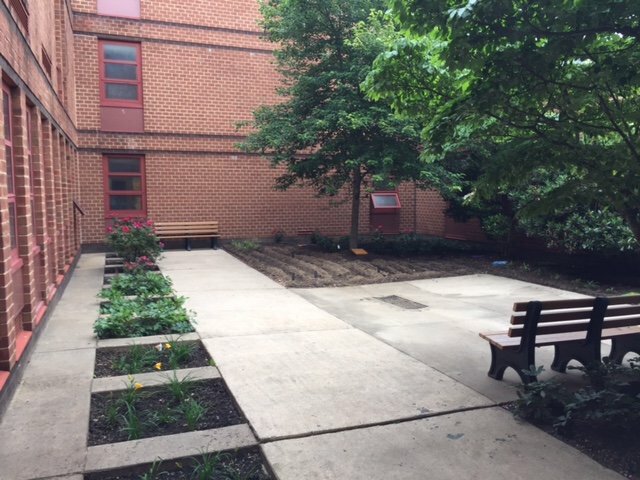 The courtyard features a farm that will grow corn, beans, lettuce, and other vegetables. 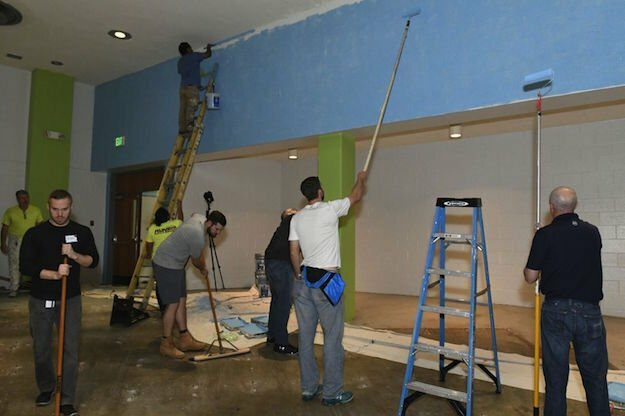 Fresh paint was added to many of the school’s walls. 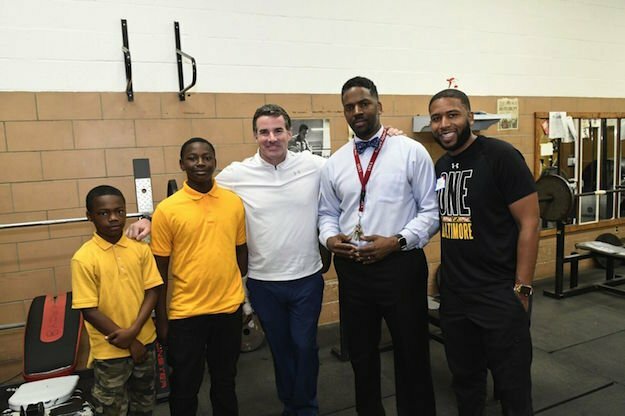 Under Armour volunteers also took part in a food drive.